In this blog series, we debunk unreliably strategies for approaching various Logical Reasoning questions on the test. As mentioned in Part I of this series, such bad advice appears well-justified and initially quite useful in solving a good number of questions. Unfortunately, shortcuts are easy to circumvent. What’s worse, they can be used as traps—especially if you tend to use them blindly (as people often do). If you come across a Flaw question where the stimulus contains conditional reasoning, the flaw has something to do with the conditional nature in the argument. Just look for an answer choice containing such keywords as “sufficient” and “necessary,” and you are all set! Not necessarily. Quite a few Flaw questions in recent years contain conditional arguments that are either weak for some other reason, or—even if they do contain a flaw in conditional reasoning—avoid using the expected terminology in describing it. Take, for instance, June 2008, LR1, Question 19. So, the argument contains neither a Mistaken Reversal, nor a Mistaken Negation. If you read answer choice (A) more closely, you realize that it describes a contrapositive—a perfectly valid deduction from a conditional claim. The flaw has nothing to do with conditional reasoning: it is just a temporal error in reasoning (what has occurred in the past is not necessarily bound to occur in the future), which agrees with answer choice (D), not (A). However, if you followed the shortcut discussed here, you would have gotten the question wrong. 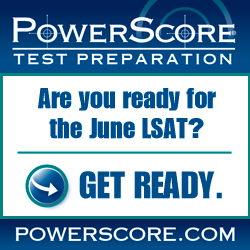 Have you come across other LSAT “tips” that are just too good to be true? Let us know! Photo: “Untitled” courtesy of Dwayne Bent.